2.0 box office collection: Rajinikanth, Akshay Kumar starrer already a Rs 120 crore movie, before its release! 2.0 box office collection: Rajinikanth and Akshay Kumar starrer 2.0 is heading for one of the biggest releases in India on November 26. An S Shankar directed film, 2.0 is getting a great response even before its release. 2.0 box office collection: Rajinikanth, Akshay Kumar and Amy Jackson starrer 2.0 is heading for one of the biggest releases in India on November 26. An S Shankar directed film, 2.0 is getting a great response even before its release. The upcoming film, 2.0 is an Indian sci fi film written and directed by S. Shankar, co-written by B. Jeyamohan, and produced by A. Subaskaran. 2.0 movie is said to the biggest budget film ever made in India and box office collection expectations are sky-high this time. According to a tweet by trade analyst Sumit Kadel, "2.0 will have a biggest Indian release ever at the overseas market. Reports are that film is going to be released on 2000+ screens internationally." And lo and behold, 2.0 film has already earned a massive amount, according to Bollywood Life - Rs 120 crore! This is in terms of the theatrical advance. 2.0 film is a sequal to 2010 Tamil film Enthiran. It is claimed that the film will break all records made by previous money grossers such as Baahubali and Dangal. The former is a Rs 500+ cr film and the latter Rs 300+ cr. Rajinikanth, Akshay Kumar and Amy Jackson starrer 2.0 is being promoted widely as is expected from a movie that has two of the biggest cine stars India has ever produced. The film makers have reportedly deployed their strategy to make it a massive hit at the box office. As 2.0 release date is getting nearer, promoters are revealing an exciting new poster almost every day, which is creating excitement around the movie for fans. Notably, 2.0 box office collection day 1 prediction is that this Rajinikanth and Akshay Kumar starrer will cross the Rs 100 cr mark! Yes, on opening day itself! 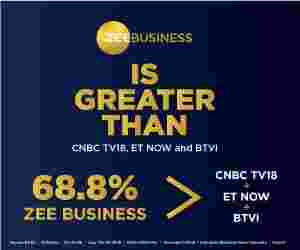 This is what Akshay Rathi predicted when queried by Zee Business online. It includes Hindi and all regional languages earnings. Here is the sound of the future! It will thereby beat the whopping new record set by Aamir Khan and Amitabh Bachchan starrer Thugs of Hindostan of earning Rs 52.25 cr on day 1, just weeks ago. 2.0 has big stars, and technical team of previous film Robot (in Tamil Enthiran), which was a huge success in Telugu States and in USA. The 2.0 has music by A R Rahman. The film is shot in Tamil and will be released in 14 other languages with dubbed versions. The film is expected to cross all records made before by Baahubali and Dangal along with other top money grossers.